Cooking chicken requires skill, practice and good technique. 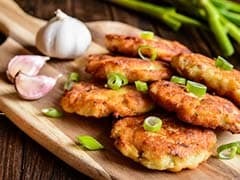 10 easy to cook chicken recipes. 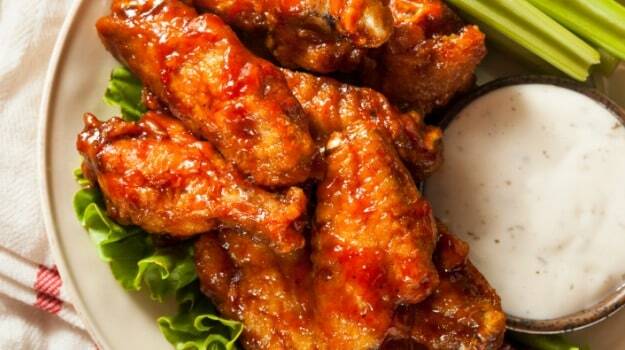 Chicken Recipes: Chicken makes us go weak at the knees. Seared, sauteed, broiled, baked or fried - it rates high on both taste and nutrition making us feel all warm and fuzzy inside. Cooking chicken is easy. 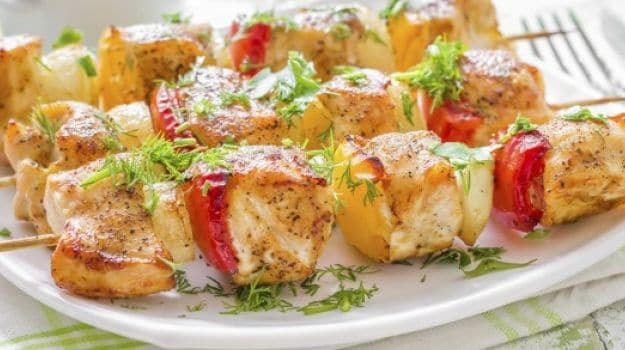 But cooking juicy, tender and moist chicken especially when you're short on time, have a few kitchen ingredients or are just a bit lazy isn't that easy. Cooking chicken requires skill, practice and good technique. So how do you master the art of cooking good chicken? You follow the great advice we have to offer. And our roundup of easy chicken recipes. How to buy good chicken? Be sure to check the date of package to ensure it's not too old. If there is a surprising volume of liquid in the pack, if the chicken seems sticky or if it smells suspicious then don't buy it. The colour of the chicken isn't an accurate indicator since the amount of skin on the chicken could vary. You can buy a whole chicken and take on the herculean task of breaking it down. Or you could just buy yourself some glorious wings, meaty legs, fleshy thighs, drumsticks and perfectly butterflied breasts. Some people place the chicken under running cold water till the residue washes off. Some home cooks suggest you rub a pinch of salt into the flesh and wash it off later. Another popular technique requires you to soak the chicken pieces in salt water, cayenne pepper and fresh rosemary. Keep it soaked for about 15 minutes, pull it out, dab it dry and you're done. This method is endorsed by some but there are others who believe that it drains the chicken of a lot of its moisture. Roll over and go through our easy chicken recipes. 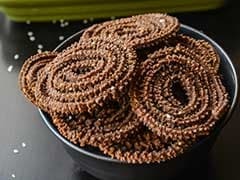 They're quick, creative, delicious, absolutely hassle-free and ones you'd want to bookmark now. 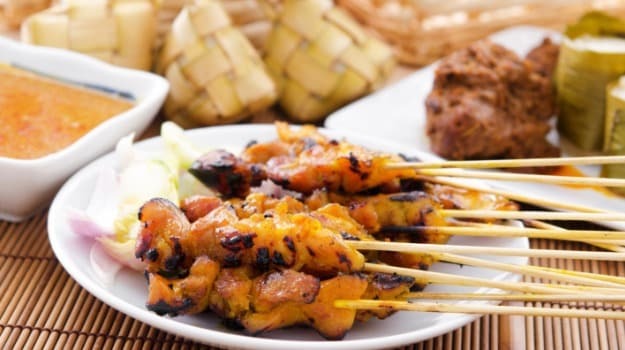 Ask any avid traveler and he'll tell you that the magic of Balinese cuisine is unmatchable. And the taste of ginger, long and fresh chillis, turmeric, white pepper, garlic and a hint of sugar will get you as close to Bali as possible. 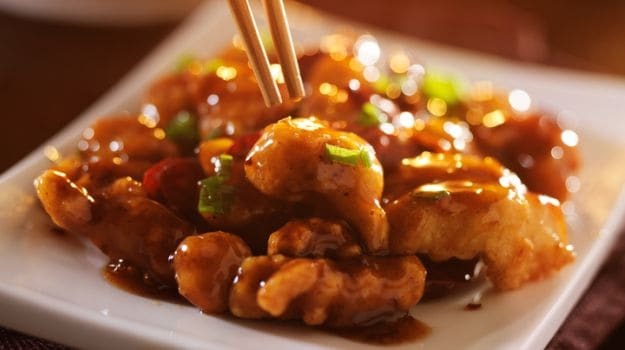 Oriental flavours are the perfect mix of sweet, spice and something nice. And so is this basil chicken. All it needs it 20 minutes, some chicken mince, oyster sauce, soya sauce, basil and some mild seasoning. These crisp, deep-fried chicken wings served with sweet chilli sauce and sour cream will make your day. If you love Thai food then you'll thank us for what's about to come up ahead. Chicken mince tossed in mild oriental flavors with aromatic basil leaves. Although the dish is dry, it goes brilliantly with white rice. A gorgeous Italian salad that's high on taste and low in calories. The green, yellow and red bell pepper add some crunch while the tomatoes and salad leaves lend a sweet, subtle and mild flavor. Fried chicken pieces, a beautiful Coronation sauce and 2 steps - Eat it as a salad or use it as a sandwich filler, it tastes delicious every time. Crunchy mustard seeds and the sharp taste of spring onions is what you'll get with this 20 minute Murgh Do Pyaaza. 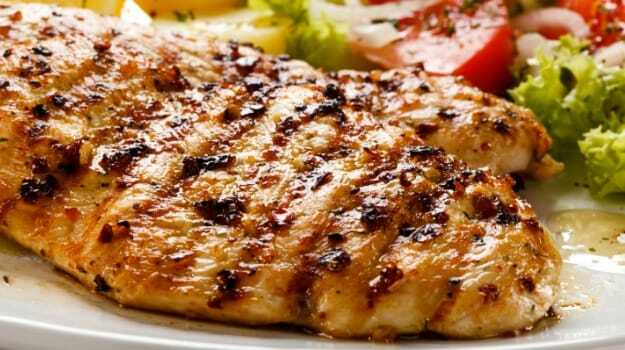 Chicken breast seasoned with salt-pepper and grilled. Served with a pungent tasting mustard sauce with cream, onions and white wine. This could be the show stopper at your dinner table tonight. 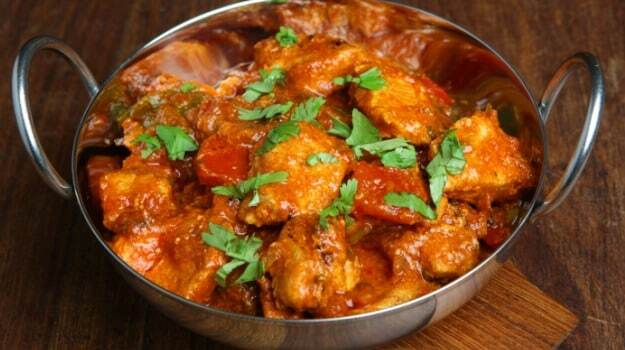 Chicken cooked with tomatoes, coriander, turmeric, chilli and a whole lot of ginger. 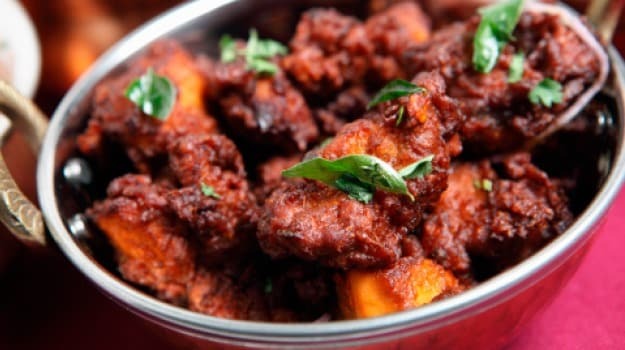 If curry leaves is your thing then so is this Kerala Chicken Roast. 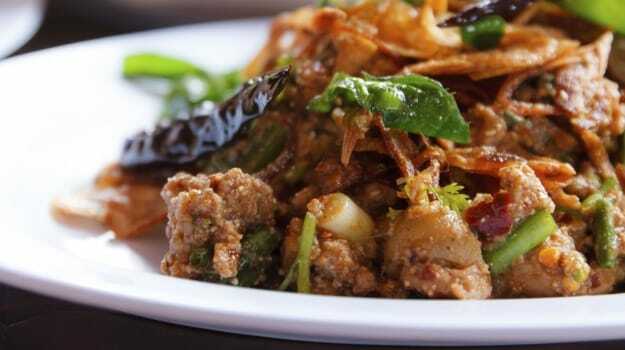 Chicken chunks are first marinated in spices and then fried golden with onions, curry leaves and sizzling green chillis. A delicious Parsi recipe makes for a popular dish that can be served as a starter at festive occasions and dinner parties. It is a blend of spices with a tang of lemon and is easy to cook and a delight to serve. 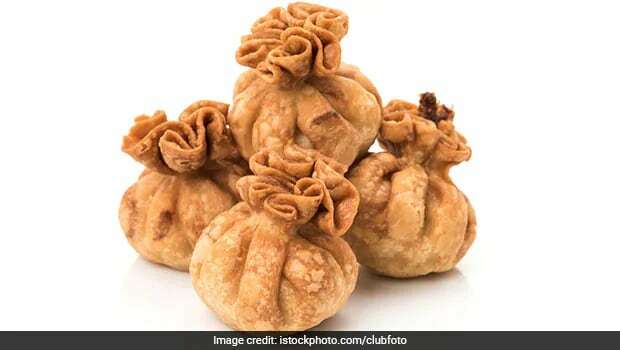 Chicken potli is a bite-sized appetiser, perfect for parties. It has a spicy meal filling and the dough is shaped like a pouch. All you need to have on your kitchen table is chicken, onion, chilli, garlic, soya sauce, seasoning, spring onion, et al. This crispy, juicy and tangy chicken snack is the perfect dish to make for a dinner party. All you need is to have bread-crumbs, parmesan cheese, parsley leaves, garlic powder, mayonnaise, chicken breast, et al to make it to perfection. 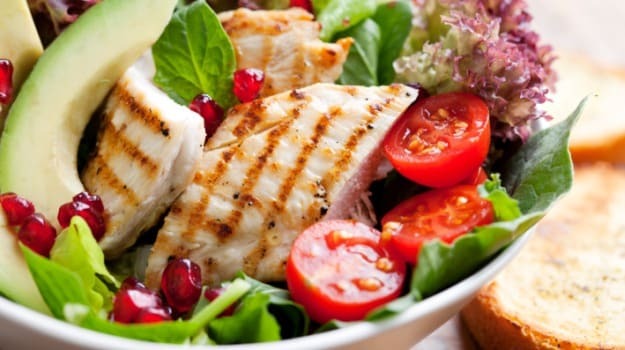 Chicken lovers, go ahead and prepare these easy chicken recipes and enjoy everything meaty! 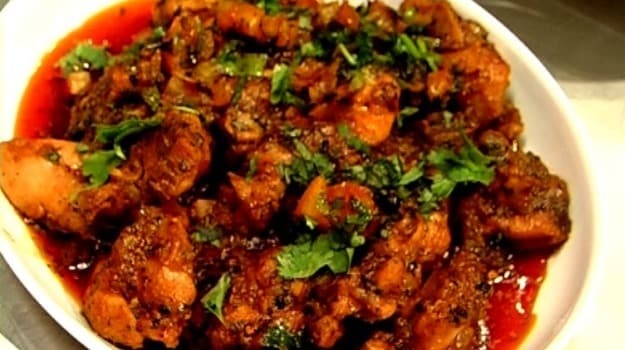 Butter Believe It: 5 Amazing Ways To Give Your Leftover Butter Chicken A Delicious Makeover!